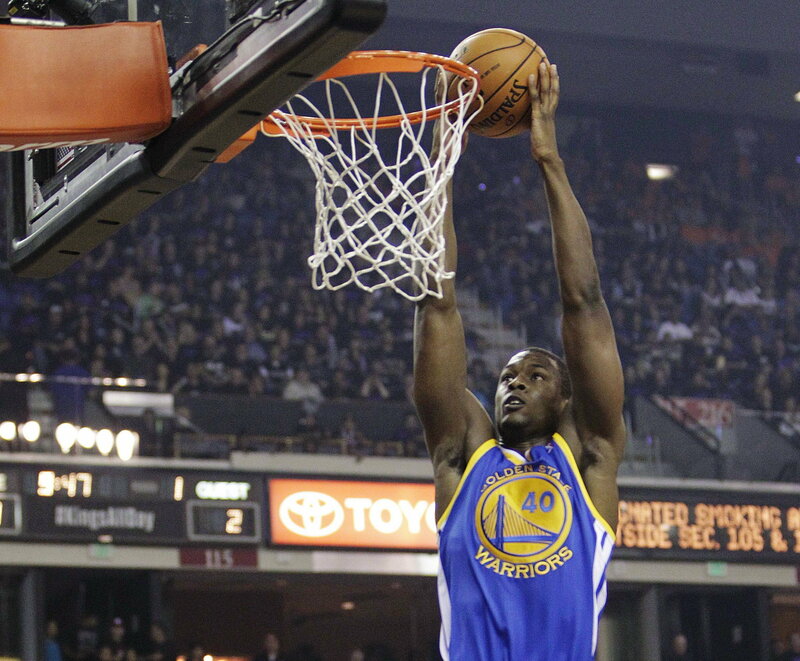 Aside from a rather quiet first quarter –during which time ball movement was key for the Warriors –Barnes seemed to step on the throttle in the second quarter, recording 5 points, 2 rebounds, and 1 assist, before flooring it in the second half (17 pts, 3 reb, and the aforementioned dunk). Yet Barnes wasn’t the only reason Golden State came out victorious last night; much of the credit needs to be handed to Barnes’ veteran teammate Stephen Curry, who played a game for the ages, recording 30 points, 13 assists, 5 rebounds, and 3 steals to lead the charge. In the grand scheme of things, Barnes’ numbers look rather pedestrian compared to Curry’s, but the numbers don’t lie; the increased output from game one (24 pts vs. 8, 6 reb vs. 2, +17 vs. -4) will help Curry know that he has a solid third option (behind himself and Klay Thompson) that he can rely on. Also, if Barnes can fire up the home crowd on Friday with another emphatic dunk, it may be very hard for Denver not to feel overwhelmed in The City. Golden State’s two other rookies, Draymond Green out of Michigan State and Festus Ezeli out of Vanderbilt, combined to score 12 points on 4-of-5 shooting. The two young Warriors also grabbed five rebounds and swatted away two Denver shots. Meanwhile, Nuggets rookie Evan Fournier struggled to get much going, as he turned the ball over three times and committed three fouls in only nine minutes of play. This entry was posted in Home, Rookie Impact and tagged basketball, Denver Nuggets, Draymond Green, Evan Fournier, Festus Ezeli, Golden State Warriors, Harrison Barnes, NBA, NBA Playoffs, nba rookie, NBA rookies, sports by NBA Rookie Class. Bookmark the permalink.